We develop all kinds of websites: from small business cards to corporate portals. Contact us to get a detailed offer for the development of the site. No ads. Everything is short and to the point. Why it is worth ordering a site from us? We don’t sell a cat in a bag: You know exactly what you are paying for and why it costs so much. The report will not only be understandable to you, but also taxable: everything can be written off as expenses. We are focused on a small number of approvals and quick decision making. We do not hide behind the managers, do not work with the “rubber” budget, but flexibly adjust tariffs to the requirements of customers. We know the requirements of search engines and execute them in the development process. This means that you will not need to pay in the future for the internal optimization of the site, which costs absolutely not cheap. During the preliminary work, we evaluate the effectiveness of your investment. If, for example, the attendance forecast is too low, you will know about it even before the start of work on the site. A foreign customer asked us to help in advertising a guide. After discussing and studying the competitors’ sites, it was decided to develop a full-fledged resource with descriptions of excursions. A designer, a copywriter and a marketer worked on the Internet resource for the picturesquely intriguing places in one of the corners of Africa. The pages are made in a concise clear design, filled with informative texts. The tasks have been completed: in the first week five orders were received for the amount of $ 740, which fully paid off the customer’s investment in development. 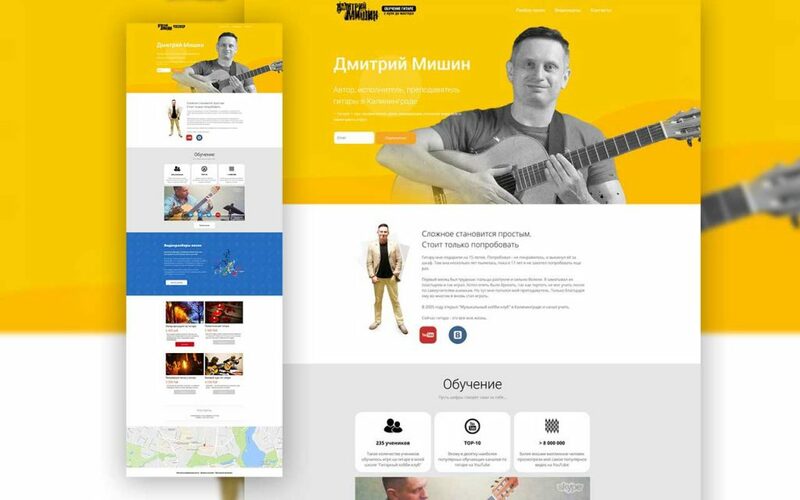 The subscription page of the famous Kaliningrad guitarist Dmitry Mishin. The goal of the page is to collect contact information for guitarists to invite to online events. Site visitors were attracted by contextual advertising and from the YouTube channel. As a result, more than 3,000 email-addresses were collected, which were used to send out a series of selling letters. Income from the first webinar – 24 000 rubles. paid back the cost of the page and contextual advertising. When the catering establishment changes every three months around the corner, it means it has burned out. The management of a cafe, a restaurant requires time and effort. 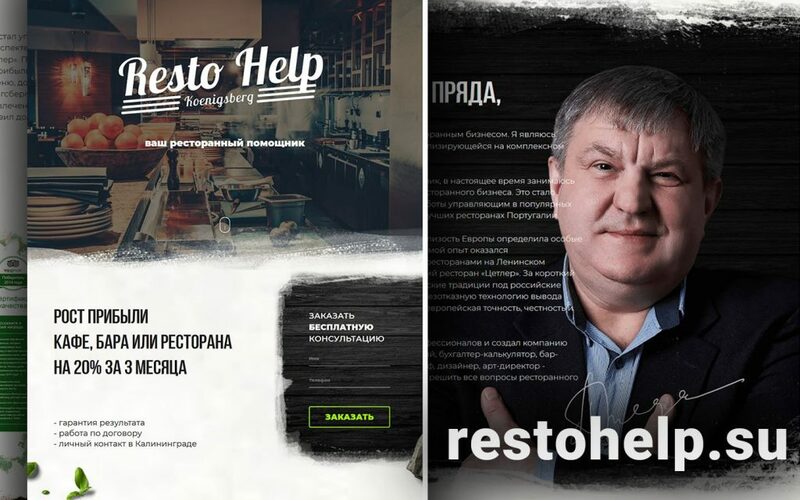 RestoHelp is a versatile restaurant assistant. Service RestoHelp needed a high-quality informational and informative, tasty representation. 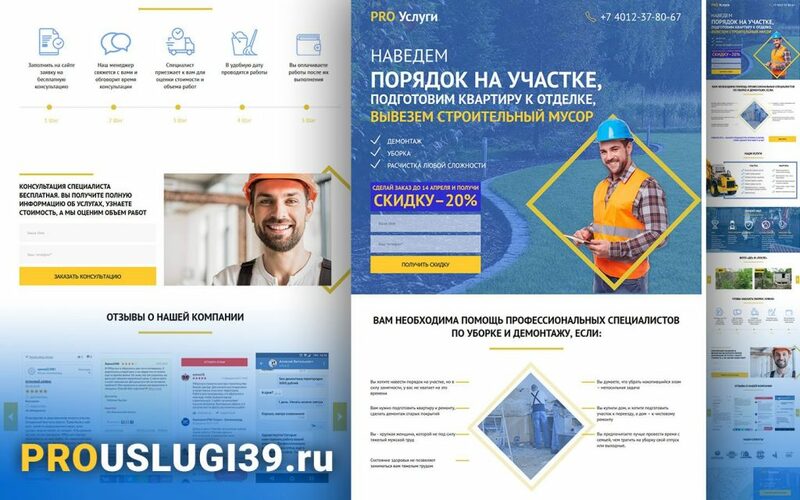 Reklamafia created a landing page. 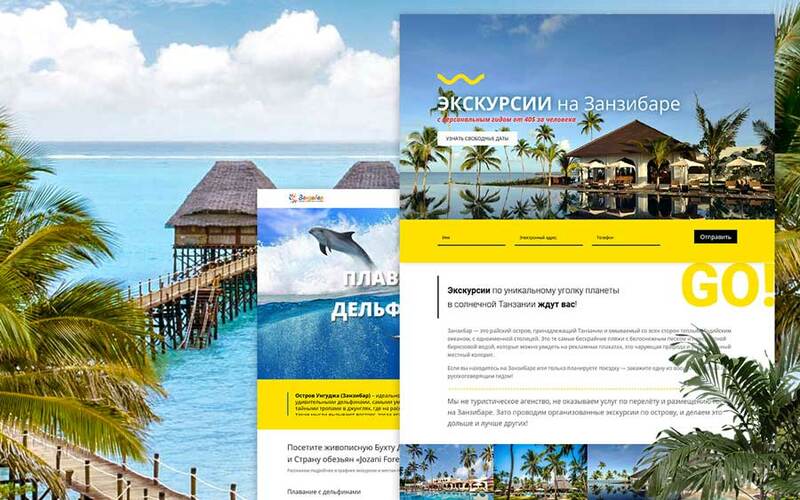 Special attention was paid to the design of the first screen of the site. To this end, the requests of the target audience were studied. The site tells about a specialist, showing his advantages over competitors. There was no garbage left in Kaliningrad: the friendly guys from the Prouslugi company collected it and took it out. And Reklamfiya told about the feat on the new site. Marketing research has shown that the best option for registration is landing. One-page site includes company description, reviews and contact details. This is enough for a potential client to see the benefits of contacting the company. Website design implies the location of information blocks in the right places. The designer did everything in an informative-concise style. Landing and contextual advertising are launched and as a result on the first day – two applications from 2 real clients. The potential audience will not pass by and be sure to click to learn more!